Volunteers wanted! Dear FCA members we are growing in size and in need of more people to keep FCA running. We currently have different positions open, so if you would like to be more involved do keep on reading! For the past two years, the book club has been a regular part of FCA. The basic structure is that we alternate between fiction and non-fiction books, focussing on different cultural perspectives on intersectional feminism. Discussions tend to be lively, challenging, friendly and open up things you may not notice reading alone. We meet about once a month at my studio (Studio Babel – Derde Kostverlorenkade 35). 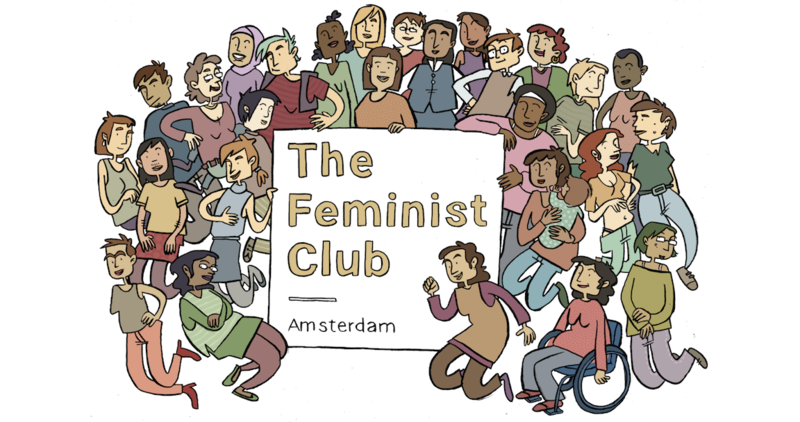 At the beginning, we compiled a reading list here: https://www.facebook.com/notes/the-feminist-club-amsterdam/reading-list-book-club-suggestions/683562891791592/ We have a mailing list of about 30 people who regularly join, but it would be good to pick up more active communication. So far, the way it has been organized is that at least 2 people pick a date and a book and prepare the discussion (MODERATORS), while I make sure there is soup (sometimes also by other volunteers) and do all the rest of the organization. I am happy to still host the book club in my studio, but I am currently too busy to coordinate it properly. So I’m looking for one or several people to cover these tasks:- BOOK CLUB MODERATORS: pick a book with another person set a date. Prepare the discussion by offering an introduction and prompt questions, making sure it remains a safe space according to the FCA guidelines. Next one is on White Innocence, 15 january. – BOOK CLUB COORDINATOR: someone to keep in touch with the FCA main volunteer group and sync the themes etc with the big picture. This also entails finding at least 2 people per edition (the MODERATORS) who pick a book and prepare the discussion and communicating with them (3-4 hours per month) – BOOK CLUB COMMUNICATION: a volunteer who can help with the communication of the book club events in advance, such as sending out invites and reminders, making facebook and eventbrite events and answering any questions (2-3 hours per month) – BOOK CLUB COOK: someone to do shopping and make (vegan) soup for the creature comforts of the attendees. Kitchen available. (2 hours per book club) – BOOK CLUB REVIEWER: a writer to post a short review on the FCA website afterwards about the discussion and perspectives that open up (3-5 hours, plus attending the book club).The multiple roles can be combined as you like, according to the time you have available. The book club has been a thought-provoking setting for going in-depth and learning from each other. I hope we can continue it, even though I am no longer able to facilitate all the different roles. So book-lovers, who can step up?You can contact Shailoh at shailoh@studiobabel.nl.